A full sized 5000CT bottle of the popular Valken Tactical BB. 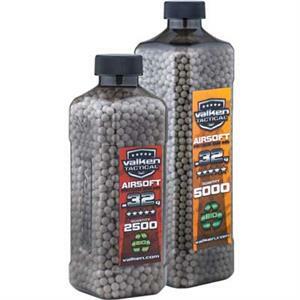 Exclusive to their BIO line the .32g is another high quality heavy weight BB in Valken's lineup in both 2500CT & 5000CT sizes. This bottle contains the biodegradable variant of Valken BBs for fields & events that require them.